Earlier this week I began detailing the information I found in the pension file of John L. Gamble. You can read about click here to read about the information found in his pension questionnaire. The questionnaire confirmed that his first wife, and my ancestor, was Alice Wise. She is listed with the middle initial “J” in the questionnaire. Other sources listed her with the middle initial “L”. 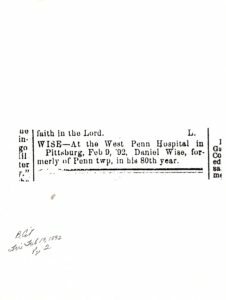 I was married to Alice Wise in the fall of 1865 in Butler, Pa and she died about April 1887, and is buried in the graveyard at Pine Creek Church, 5 miles south of Butler, Pa. She has no grave-stone. Undertaker Alexander Martin of Etna, Allegheny Co., Pa. , buried her, and her physician was Dr. (?) Purvis, dead. 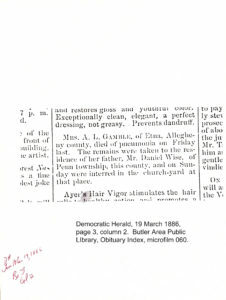 John L. Gamble continues in the next paragraph that Alice must have died in 1886 because he married Margaret Thompson in 1887. 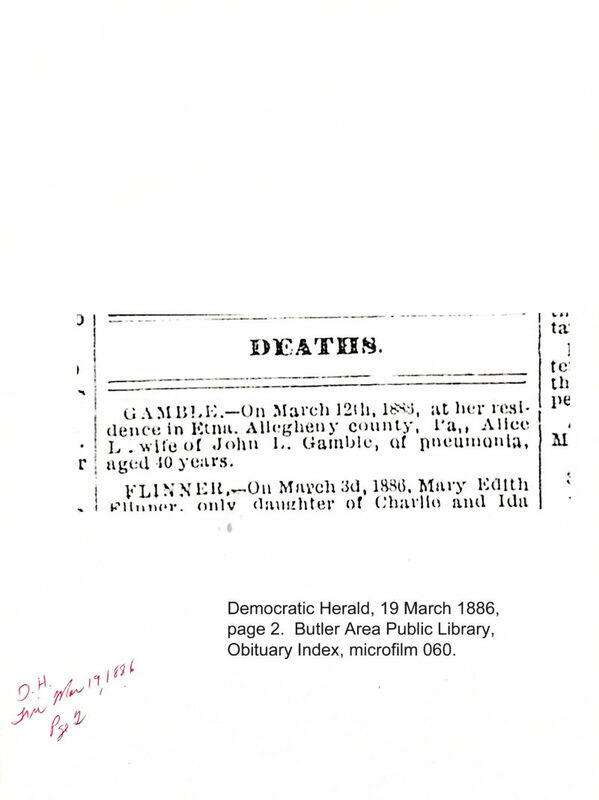 GAMBLE – On March 12th, 1886, at her residence in Etna, Allegheny county , Pa., Alice L. wife of John L. Gamble, of pneumonia, aged 40 years. Mrs. A.L. 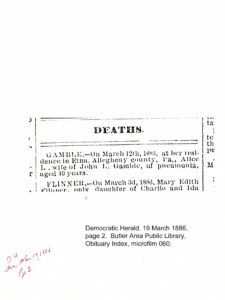 Gamble, of Etna, Allegheny county, died of pneumonia on Friday last. 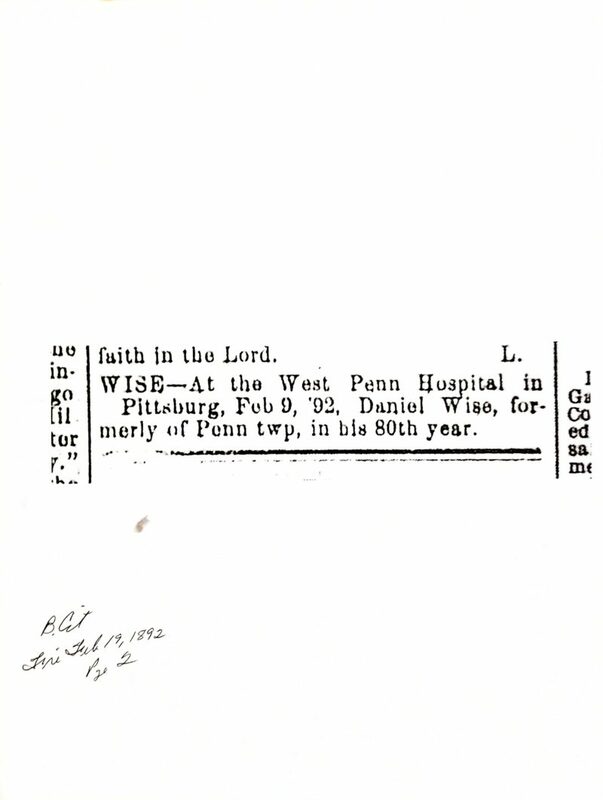 The remains were taken to the residence of her father, Mr. Daniel Wise, of Penn Township, this county, and on Sunday were interred in the church-yard at that place. 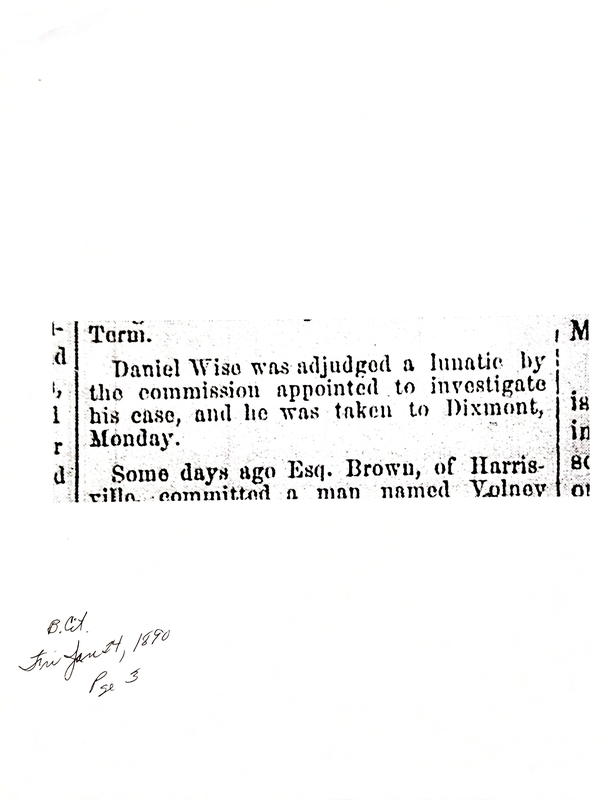 Democratic Herald, 19 March 1886, Page 2, Column 2 and Page 3, Column 2, Butler Area Public Library, Film #060. As I looked at the incredible paperwork I kept it in the order I found it in the file. 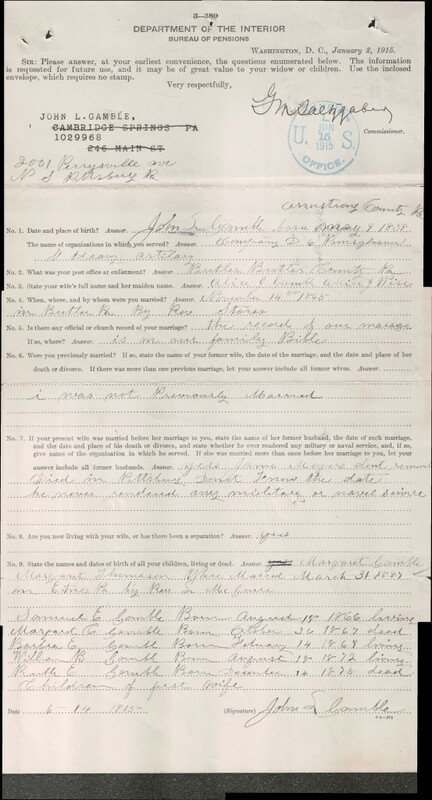 One of the last items in the file was a standard form questionnaire filled out by John L Gamble. It clearly identified his first wife and children including dates and places. 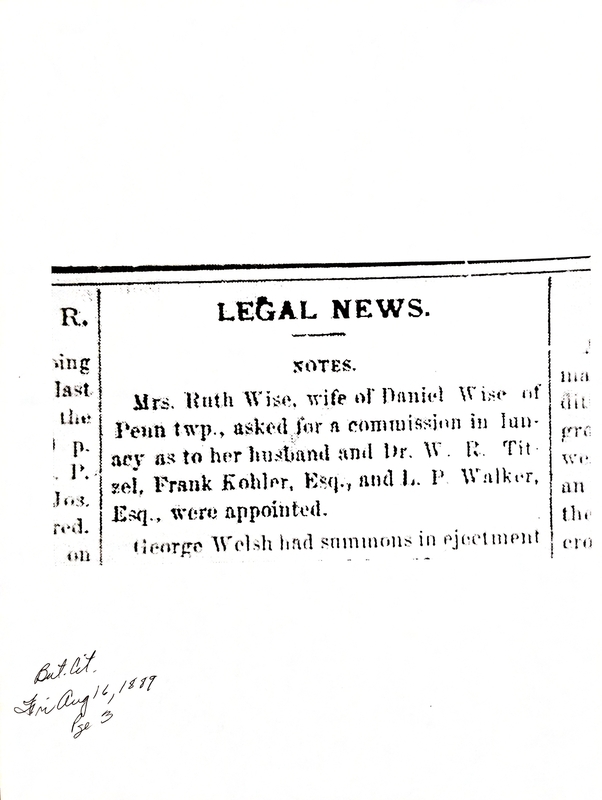 The biggest find in this document is that Alice Wise had been previously married. 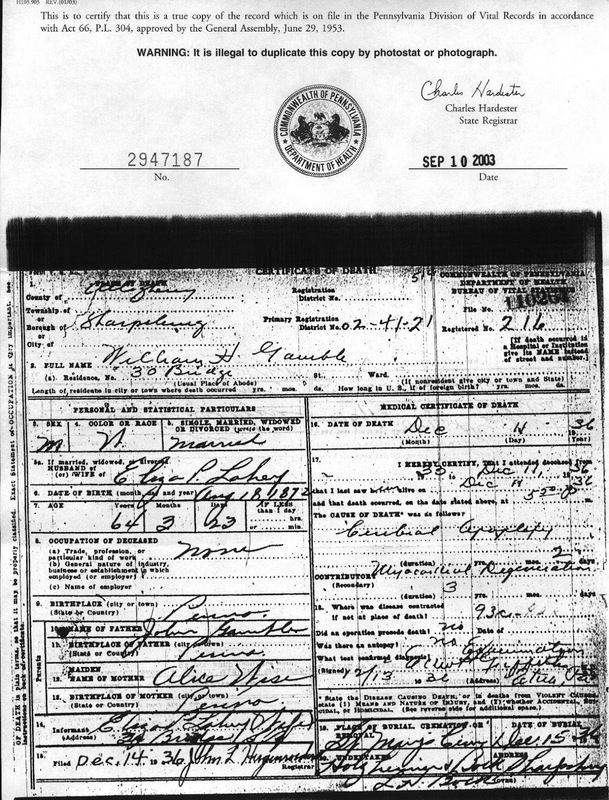 The names of the children were confirmation of information previously found in census records. Their dates of birth is new information. The marriage information is also new to me. I wonder who has the family bible?! 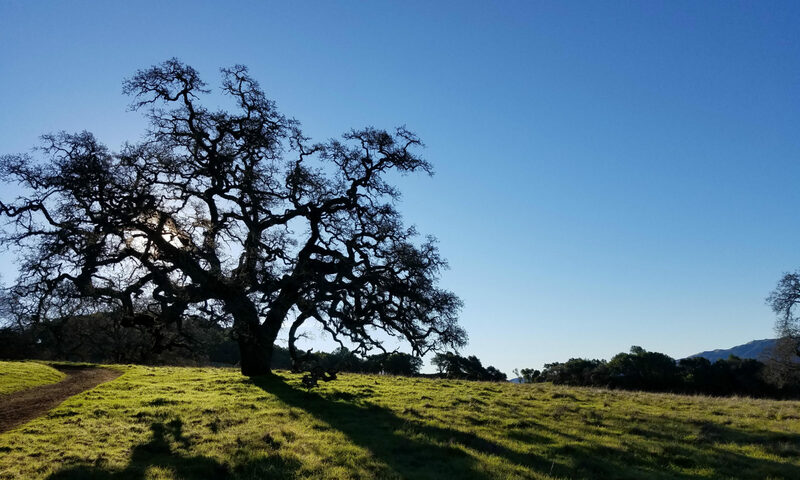 This is an image stitched together from my Flip Pal scans taken back in April. SIR: Please answer, at your earliest convenience, the questions enumerated below. 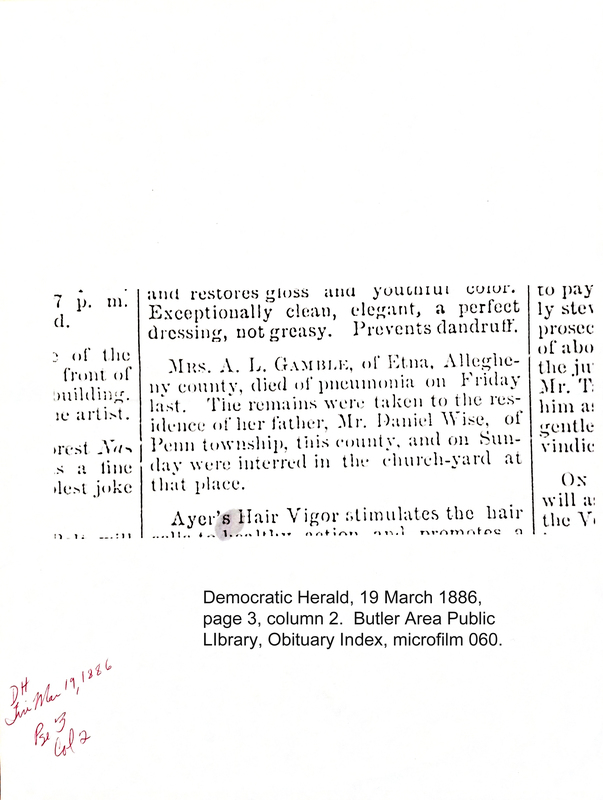 The information is requested for future use, and it may be of great value to your widow or children. Use the inclosed envelope, which requires no stamp. No.7 If your present wife was married before her marriage to you state the name of her former husband, the date of such marriage, and the date and place of his death or divorce, and state whether he ever rendered any miltary [sic] or naval service, and if so, give name of the organization in which he served. If she was married more than once before her marriage to you, let your answer include all former husbands. Answer: Yes James Meyers dont remember died in Pittsburgh. Don’t know the date he never rendered any military or naval service. William H Gamble is my great-great-grandfather (me ->my dad->Mary Dempsey->Amelia Gamble->William H Gamble). 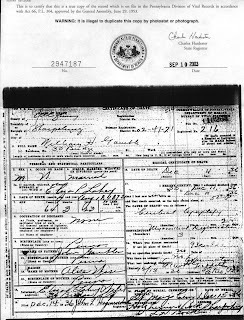 He was born August 18, 1872. 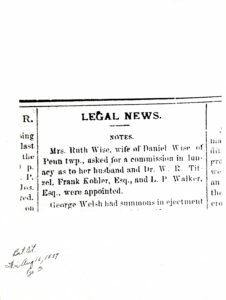 He married Eliza P Lahey about 1891. They had three daughters, Mary Alice, Amelia Josephine, and Faith Dorothy Mildred. 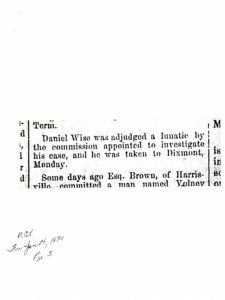 They lived in Sharpsburg, Pennsylvania. 15.Filed: Dec. 14, 1936 John L Huge???????? ?